You've decided to hire an intranet manager, but what kind of person should you look for? We have two sample job descriptions to help you hire the right teammate. 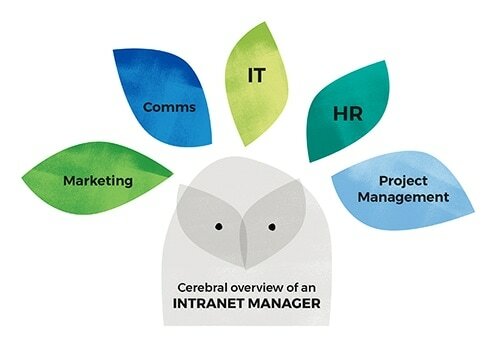 If you’ve decided to hire an intranet manager, what kind of person should you look for? We’ve provided two example job descriptions below. The first example is a more senior, strategic role. The second example is a more junior, operational role. Feel free to take these job descriptions and edit as needed. What matters more than the qualifications above is the personality and character of your new Intranet Manager. If you find someone who is 1) smart and thoughtful, 2) a good learner, 3) inclusive and good at listening, and 4) well organized, they will likely be very successful in this role. Now that you’ve drafted the position description for your new Intranet Manager, explore the techniques and practices that lead to an excellent intranet. See our Intranets 101 page for free, helpful resources.